Welcome to Romania! Having the fastest growing IT industry in Central and Eastern Europe, you are sure to find freelancers and IT experts of every kind. The Romanian authorities have worked hard over the past 14 years to make Romania an European center of the IT industry. As you will come to learn, they have been extremely successful. There are plenty of well-educated, talented Romanians with the skills and experience needed to work in IT. It is little wonder that more and more IT companies outsource their IT services to Romania. Romania is not only an IT mecca business center, but a year round tourist destination, with beautiful scenery and weather conditions, including four distinct seasons. If you find yourself visiting this enchanting country for tourist or business purposes, here are some funny confusions about Romania that will be sure to show you a new exciting perspective on Romanian culture and history. The Romanian culture is predominately Latin, and the Romanian language is closer to Spanish, French, and Italian than Russian or Polish. You will quickly notice that Romanian use the Latin alphabet, not the Cyrillic. This should make your life a lot easier as you start to learn your way around. As an IT recruiter visiting Romania, you might be a bit lost at first. The Romanian capital of Bucharest is often confused by foreigners with the Hungarian capital of Budapest. It might also take you a moment to realize that ethnically speaking, Romanians are not Romani (the official term for Gypsies, an ethnic minority in Romania and other European countries). As you spend more time in Romania, you will inevitably come to appreciate its rich history. Part of the nowadays Romania’s territory used to be called Dacia in ancient times (and you thought that was just the name of a Renault car! ), Located in the heart of Europe, it has frequently been a crossroads and a battleground. The Romans, the Byzantines, the Russians, and the Germans have all left their marks here. 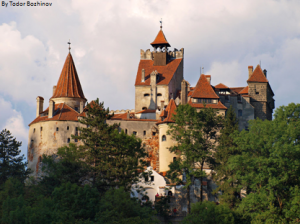 Due to ‘’Vlad the Impaler’’, alias Dracula, Transylvania, one of Romania’s famous regions, has always attracted tourists, artists or movie directors, getting inspired by the nature and its history. Along with the Romanians, Transylvania is also the home of many ethnic communities such as Hungarians, Germans, Jewish, living and contributing together to a multicultural region. Romania is now a Republic, being forced to change from a Monarchy after the 2nd World War. Romania’s connection to its past is also visible in the popularity of Romania’s former King, King Michael I. Although forced to abdicate is throne in 1947, the 92 year old King remains popular with people from all walks of life, and the royal family continues to play a prominent, albeit informal, role in Romanian life. While its location might suggest otherwise, Romania is a decidedly modern European nation, ripe with everything from a long cultural history to well-skilled IT experts. It continues to grow as well, to reconnect with its identity and history, with IT becoming a large commodity that makes Romania a nation well known for its contribution of IT technologies in the world.